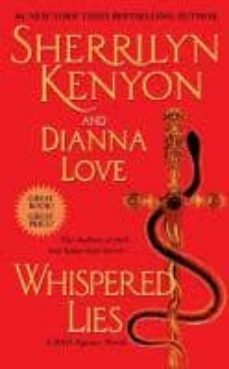 In the suspenseful thriller from New York Times bestselling coauthors Sherrilyn Kenyon and Dianna Love, a Bureau of American Defense agent and an irresistible informant join forces to thwart a deadly global conspiracy. . . . Gabrielle Saxe has hidden from a killer for the past decade, sending anonymous tips on international criminals to intelligence agencies around the world. When a postcard arrives from a friend who is supposed to be dead, she takes a risk that catapults her into the midst of dangerous operatives on a treacherous mission—and into the arms of Bureau of American Defense operative Carlos Delgado. Dutybound to surrender her to Interpol as an international felon, Carlos is the last person Gabrielle should trust and the only one standing between her and death. But little does she know, she holds the key to his survival as well. . . .